[Photo & News] Lee So Yeon's Interview about "Dong Yi"
Actress Lee So-yeon (이소연) is like the god Janus; she can undergo diverse transformations - from an innocent lady, to a vicious femme fatale. She portrays the characters to perfection in her own will, so lets meet this talented actress right now on Star Focus. The drama 'Dong Yi' (동이) is a hit production nowadays, and we could meet Lee So-yeon (이소연) at the set. 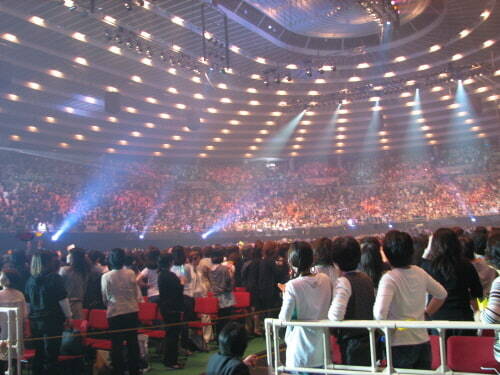 The audience ratings went over 20% and is soaring to the top at a fast pace. Nowadays, Lee So-yeon (이소연) is in her prime, thanks to the success of this historical production. The drama 'Dong Yi' (동이) is an up and coming historical production, following the footsteps of popular dramas such as 'Dae Jang Geum' (대장금) and 'Lee San - Wind of the Palace' (이산). In this drama, Lee So-yeon (이소연) portrays Jang Hee-bin (장희빈), who's the antagonist opposite the character Dong Yi (동이). In her previous production 'Temptation of an Angel,' she acted as a ferocious femme fatale and now, she's portraying a famous temptress of the Joseon Dynasty. 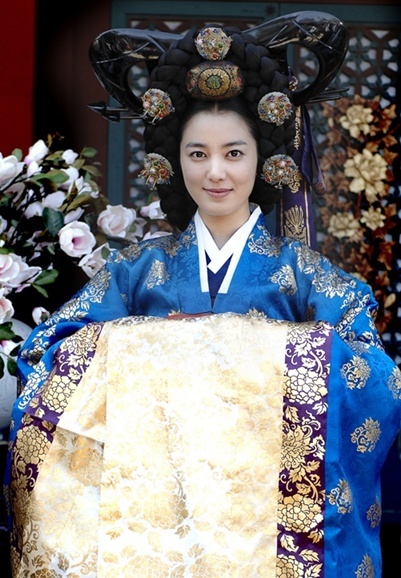 In this drama, Han Hyo-joo (한효주) portrays the character 'Dong Yi' (동이), Ji Jin-hee (지진희) acts as King Sukjong (숙종) and Lee So-yeon (이소연) plays Jang Hee-bin (장희빈). And nowadays, a lot of attention is paid on the inter-relationships of the three characters. The harmony between the actors is considered an important factor is making this production become a successful hit. She had shed off her previous images and is portraying the elegant and dignified Jang Hee-bin (장희빈) in her own way. Wearing an elegantly designed pink Hanbok, the Korean traditional costume, and with her hair in a neat bun, she's making her character Jang Hee-bin (장희빈) radiate beautifully. Actress Lee So-yeon (이소연) made herself known in the entertainment industry in 2003 through the movie 'Scandal.' She starred in her debut production along side top actors Bae Yong-jun (배용준), Lee Mi-sook (이미숙), Jeon Do-yeon (전도연) and others. But though she was amongst A-list actors, she was not discouraged, and showed her talents confidently. With her distinct features, she portrayed all kinds of roles - from arrogant ones to innocent characters. She rose to stardom right from the get-go and worked non-stop in many productions. The drama 'Temptation of an Angel' is about a lady who pays revenge to those who hurt her. Lee So-yeon (이소연) underwent an acting transformation to perfectly pull off the vicious character 'Joo Ah-ran' (주아란). She captured the viewers' attention with her flawless role as a femme fatale. Lee So-yeon (이소연) is always open to new things. A couple of years ago, she showed off her talents as a regular in a variety program. It looks like it's hard for her to show off her skills only through acting. And she stated that she wants to try working in a new outlet in the entertainment arena. Her pitiful singing skills were revealed in a movie...but she isn't a person who's easily discouraged. Trying out new things is a part of a challenge, and as much as the foreign audience are paying special attention to the drama 'Dong Yi' (동이), we asked her what her thoughts are on debuting overseas. Lee So-yeon (이소연) is a very feminine person. But we're sure she's a bit worried about her image becoming fixed as a femme fatale, a character which she's been portraying since last year. Her opinions about the roles she wants to play in the future are clear. She's a 29 year old actress, who's in her 8th year in the entertainment world. She's maturing into an amazing actress, who raises everyone's expectations with her image transformations in new productions. Lee So-yeon (이소연) radiates slowly but surely as time passes. Her big and round eyes are one of her attractive features and we wish her all the best in her future works. [News] Chae Rim returns to All About Eve in special appearance. The role that made Chae Rim a star was the 2000 Hallyu hit All About Eve, which is now getting a Chinese remake starring Chuno’s Jang Hyuk, and she’ll have a special appearance in the new drama as well. 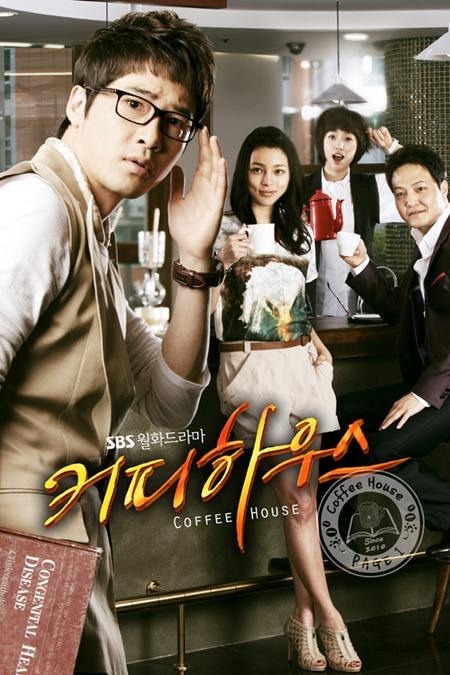 The Korean miniseries was a huge hit and paired Chae Rim with Jang Dong-gun, while pitting her against devious rival Kim So-yeon, the latter of whom knocked it out of the park portraying the quintessential backstabbing second lead in the role based on Eve of the original Hollywood film. 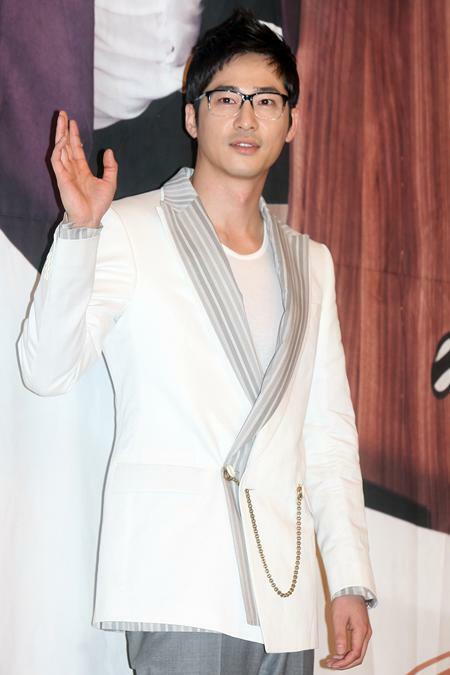 Jang Hyuk will take the Jang Dong-gun role — a gentle Prince Charming of a PD who was Chae Rim’s boss at the broadcast station where they worked — while the rest of the cast will be played by Chinese actors. Chae Rim’s role has been cast with Zhu Dan; Kim So-yeon’s will be played by Cheryl Yang. It’s not yet clear what kind of character Chae Rim will play in her cameo (I’ll bet it’s an anchor at the broadcast station, but that’s just a guess). China’s version of All About Eve will air in September. Meanwhile, Chae Rim just wrapped up her latest drama, the feel-good Oh My Lady with Choi Siwon in which she played an ajumma who works for (and eventually develops a rapport with) a spoiled top star. She has not yet announced a follow-up project. ดูทีวีออนไลน์ : Personal Taste / 개인의 취향 - (ซับไทย) ตอนที่ 14. 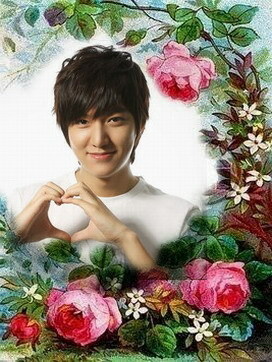 สำหรับท่านที่รอดูละครเรื่อง "Personal Taste / 개인의 취향 [MBC 2010]- (ซับไทย)" TWSSG TEAM จเริ่มนำมาโพสต์ให้ทุกท่านได้ดูเป็นตอน ๆ ไปตั้งแต่วันนี้จนจบนะคะ ...คลิปที่ท่านได้ชมอยู่ในขณะนี้นำมาจาก คุณ...KraTinZzz...จาก youtube.. ขอขอบคุณท่านเจ้าของคลิปมา ณ โอกาสนี้ด้วยค่ะ..
[Drama Review] TV series "Bad Guy" First episode . "Where am I heading toward -- heaven or hell?" 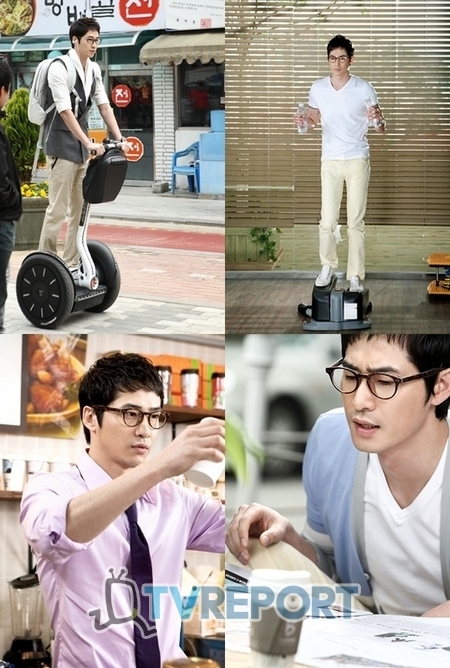 The character Gun-wook (played by Kim Nam-gil) made his entrance into the drama like an angel who fell from heaven. And in the last scene of the episode, he fell deep into the water as if he had fallen from hell. The premiere episode of SBS TV series "Bad Guy" was all about this fatally charming man who is hard to clearly define -- he has the face of an angel and, at the same time, of a devil. The reason that Gun-wook approaches the character Monet (played by Jeong So-min), the youngest daughter of the conglomerate Haeshin Group, is because he wants to plot revenge on the family for the brief period that he lived as Hong Tae-sung, the second son of Haeshin Group. Although the desire of the main female character Jae-in (played by Han Ga-in), who wants to gain power, is unveiled in a rather sophisticated way, the drama makes no special effort to explain the basic storyline and relationships between its characters. Instead, it focuses on using fancy visual work, like a music video, to repeatedly show a man who is scarred on both the inside and outside, and the women who are captivated by him. The images of his downfall, death and wounds are played out in variated forms. Stories that were divided up like pieces of a puzzle only fall into place at the end of the episode when the character reflects back on his past. 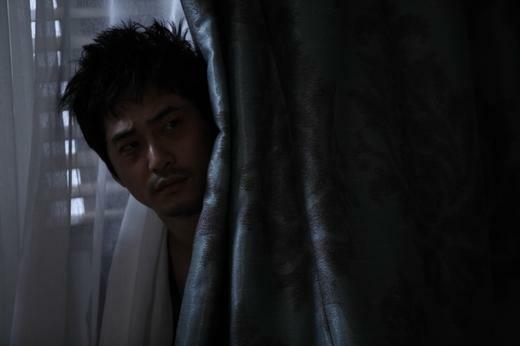 In this unfriendly story, the bad boy character Gun-wook in "Bad Guy" captivates every woman that he meets -- from a young child to older women to younger women. There are moments when the drama goes too over-the-top in describing the process. But aside from everything, if the producers are focusing on how to portray the extreme level of charm that this bad boy had, they have definitely succeeded. 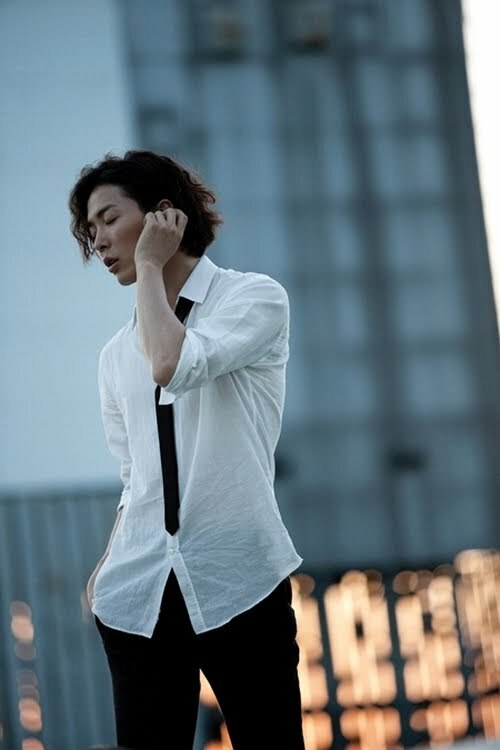 And in the second episode, actor Kim Jae-wook, who played a homosexual character in his previous drama but is still devilish in his charms, appears as the current Hong Tae-sung who shares the same fate with Shim Gun-wook and becomes his rival in everything. These two actors are enough to bring a whole ton of devilishness to the drama. Whether the devilish charms of the characters will be enough to lure viewers into watching the drama "Bad Guy" -- well, we will have to wait and see about that. 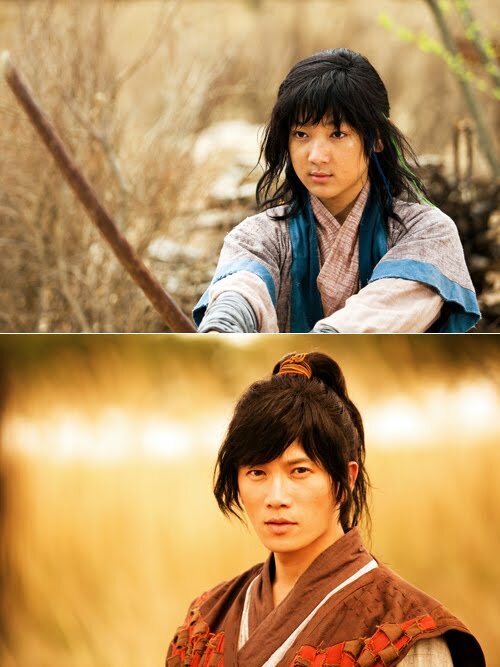 MBC has set the upcoming historical drama ‘Kim Su Ro’ starring Ji Sung to take over its Saturday-Sunday time slot. We have known that MBC has produced many hit Saeguk dramas, such as ‘Dae Jang Geum’ (2003), ‘The Legend’ (2007), ‘Queen Seon Duk’ (2009), and some other successful saeguk projects. But, this time MBC will produce a different saeguk drama by making ‘Kim Soo Ro’ in 3D video, the first for Korean TV series. It’s buzzed that they use the same computer effect as Hollywood movie ‘Avatar’ used. The drama portrays the life of Kim Su Ro (played by Ji Sung), the legendary founder of the city-state of Geumgwan Gaya during the Three Kingdoms Period. As well a kingdom story before, I think the story is about fight over the throne. 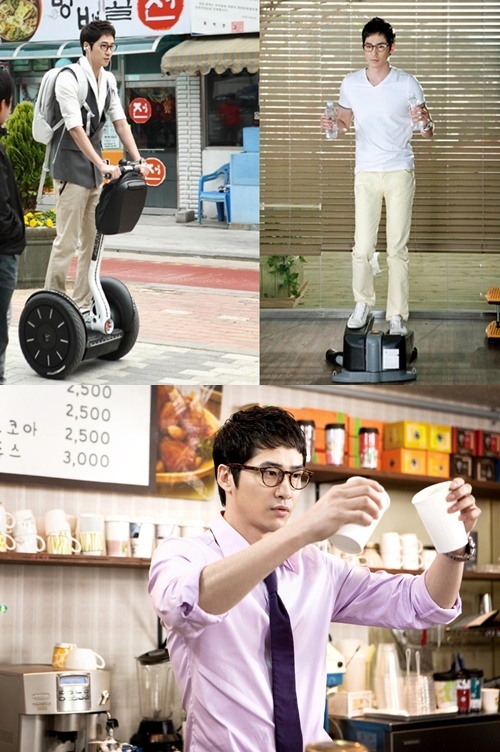 Go Joo Won will play Kim Soo Ro’s rival as his step-brother by a different father. Other stars who appear in the drama are Yoo Oh Seung playing the role of Shin Kwi Gan, Bae Jong Ok playing as Queen Jung Gyun, Soo Ro’s mother), Seo Ji Hye playing as Heo Hwang Ok, Gaya’s first Queen, and Kang Byul playing Ah Hyo, Su Ro’s first love. 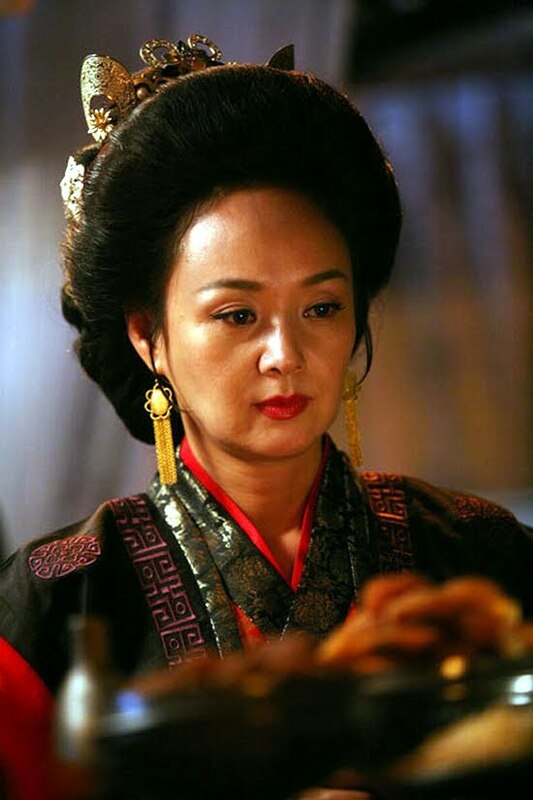 In the first episode began from Bae Jung Ok, she play as Queen Jung Gyun who was Kim Su Ro's mother. 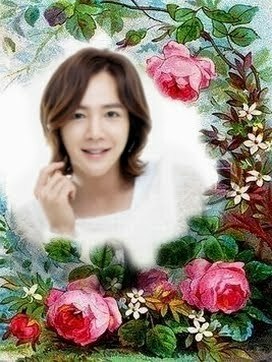 Kim Su Ro' Bae Jung Ok the term of the longevity of the enemy with our bodies and not be afraid of fighting. Fri Jecheon the last hope of being 'Su Ro' was across the bow while on horseback to keep fueled a tough heroine and a charismatic look of his eyes showing the audience was overwhelming. And at the end of his life several times managed to keep the child had survived, even after all the sadness in the scene to throw himself down a cliff 'Jeong Yeon-bi' inner was able to feel a deep maternal love. The nation's first 'Go' and 'Kim Su Ro' biography of the representation makes the public's expectations and interest in a body, arms started MBC Drama 'Kim Su Ro' last 30 days 21:45, 13-year-old who grew up Kim Su Ro (Park Gun Tae) and the binary you (Won Duk Hyun) appeared, such as a child plays the lead out, and with the living to the dead Hath pungseupin of go 'sunjang' This will be reproduced. 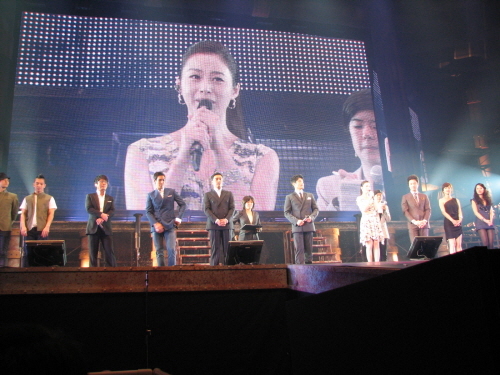 In Japan at the sold out Osaka Castle Hall on the 26th, the cast of IRIS held an IRIS Dramatic Live Stage and Concert for 20,000 fans. All the leads from the Korean drama Lee Byung Hun, Kim Tae Hee, Jung Joon Ho, Kim Seung Woo, Kim So Yeon, and T.O.P. were in attendance. They answered personal questions as well as questions about IRIS, even reenacted some action scenes. 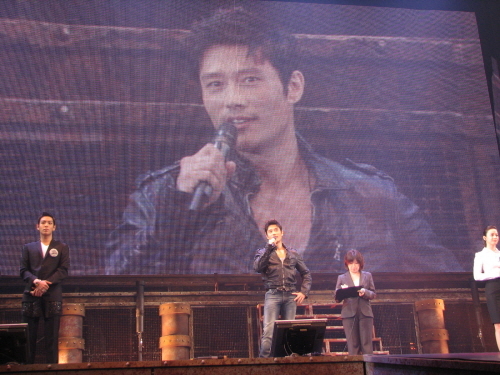 Fan accounts state that Lee Byung Hun and Kim Tae Hee also sang for the crowd. 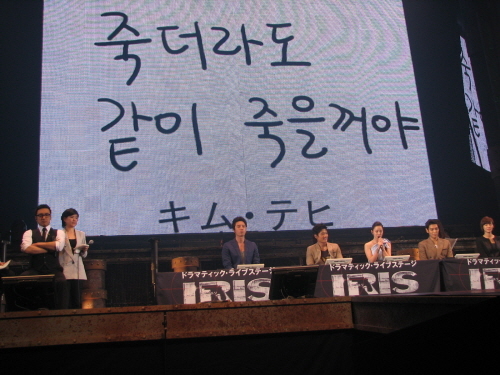 IRIS OST artists Baek Ji Young, Kim Tae Woo, and Big Bang were also there to perform their songs from the soundtrack. Baek Ji Young and Kim Tae Woo sang their hits “Don’t Forget” and “Dreaming Dream.” Big Bang reportedly sang three songs, “Gara Gara Go,” “Hallelujah” off of the OST, and their new song for the Japan release of IRIS “Tell Me Goodbye.” Big Bang fans were thrilled to see them perform "Tell Me Goodbye" live for the first time. Fans will have another chance to attend the IRIS Dramatic Live Stage and Concert on June 1st at the Saitama SuperArena in Tokyo. It is estimated that attendance will range about 60,000 people. 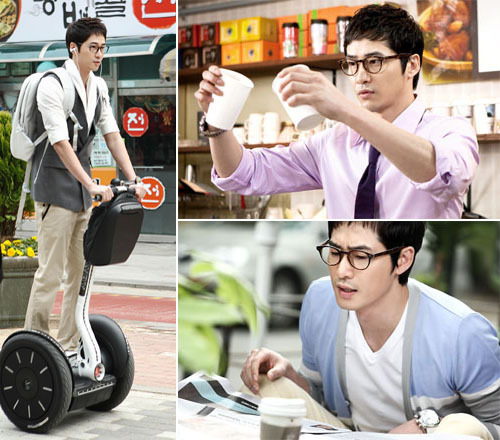 Kang Ji-hwan started out in musicals (he debuted in Grease), and now he’s returning to that medium briefly for the musical production of Caffeine (which has nothing to do with his similarly titled drama Coffee House, which is currently airing on SBS). 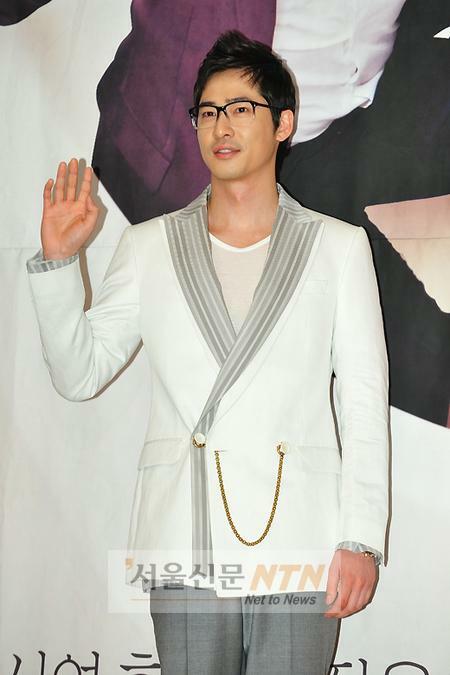 The musical will run in both Korea and Japan, and Kang will play the lead in both countries. The musical depicts the love story between a woman barista and a man sommelier and first ran in 2008. Performances will begin in August in Korea, and he will act in the Japanese shows from October 16 through November 7, for a total of 23 shows. 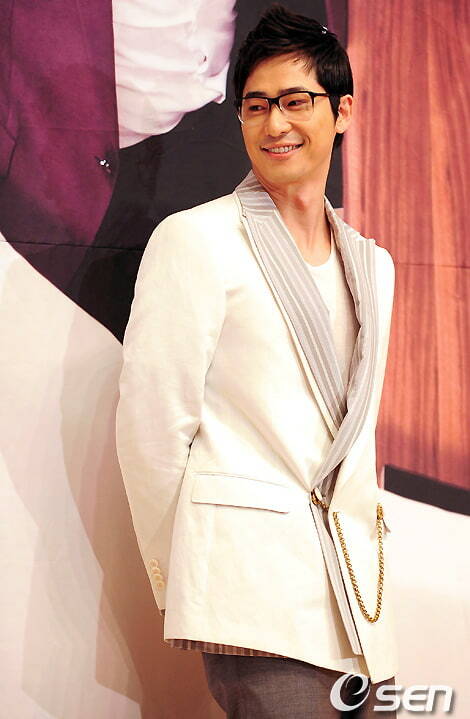 Directing both the Korean and Japanese shows is Sung Jae-joon. The performances in Korea will be held at Seoul’s Art One Theater; Japanese shows will take place at Tokyo’s Globe Theatre. That ought to keep him quite busy through the end of the year; Kang is currently busy playing an eccentric writer in the offbeat romantic comedy Coffee House, and plans to begin rehearsals for the musical once Coffee House is off the air. 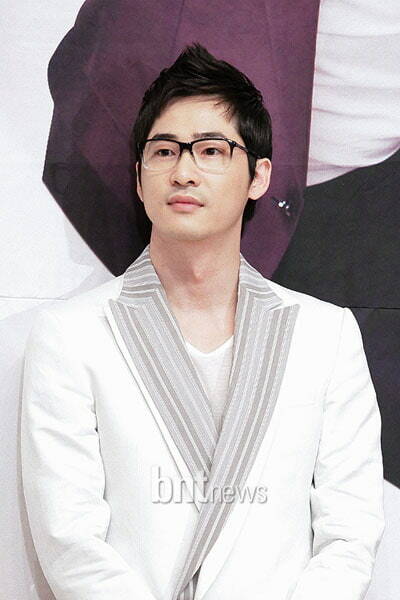 [News] Wang Bit-na joins Kim Suro as a Kaya spy. Wang Bit-na in Kim Suro, Wang plays Ah-ro, aunt of Ah-hyo (Kang Byul), and possesses outstanding martial arts skills. She uses her wiles and espionage skills to approach the man who currently holds control over the Kaya nation (played by Lee Won-jong), from whom she conspires with her niece to steal the technology of ironworking. Her appearance as Ah-ro is a stark contrast to the awesomely stylin’ single-and-proud Bu-ki of The Woman Who Still Wants To Marry, although to be fair, her look as Bu-ki was actually a departure from her usual image, so perhaps this is closer to her regular look. 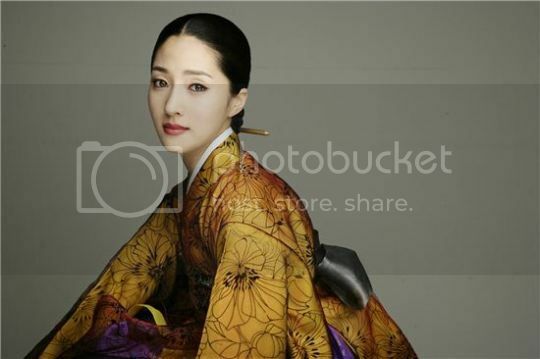 Not the elaborate hanbok, of course, but without the sharply asymmetrical haircut. In any case, Kim Suro premieres tomorrow, May 29.